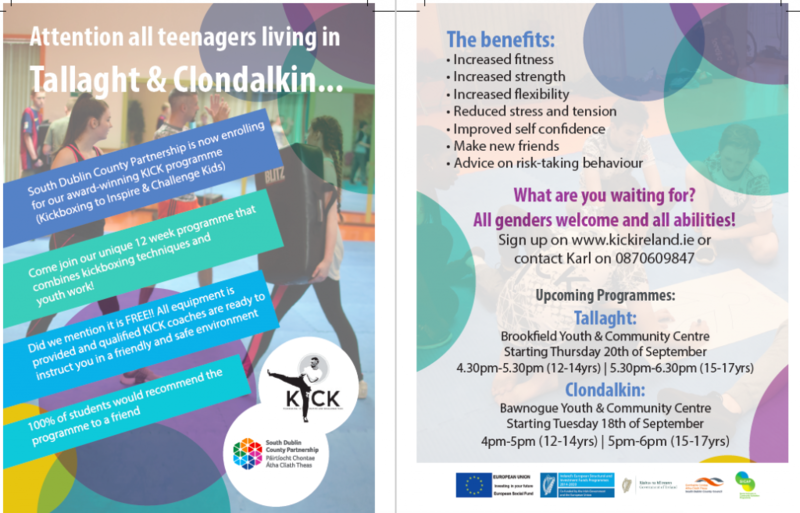 It’s that time again…Now recruiting for KICK in Tallaght & Clondalkin Sept 2018! PreviousPrevious post:Launch of the new KICK Academy Friday 14th September 2018! !NextNext post:A KICK in the right direction!! Delighted to be featured in the Irish Times! Launch of the new KICK Academy Friday 14th September 2018!! A KICK in the right direction!! Delighted to be featured in the Irish Times! Sign up to our next FREE KICK programme in February 2018!